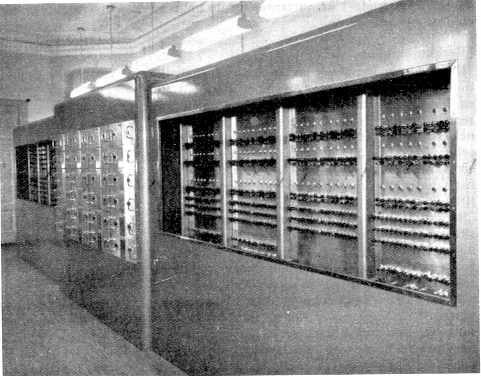 BESK (Binär Elektronisk SekvensKalkylator, Swedish for "Binary Electronic Sequence Calculator") was Sweden's first electronic computer, using vacuum tubes instead of relays. It was developed by Matematikmaskinnämnden (Swedish Board for Computing Machinery) and during a short time it was the fastest computer in the world. The computer was completed in 1953 and in use until 1966. The technology behind BESK was later continued with the transistorized FACIT EDB and FACIT EDB-3 machines, both software compatible with BESK. Non-compatible machines highly inspired by BESK were SMIL made for the University of Lund, SAABs räkneautomat SARA, "SAAB's calculating machine", and DASK made in Denmark.